When the first beautiful purple blossoms arrive, I know that spring is on its way. 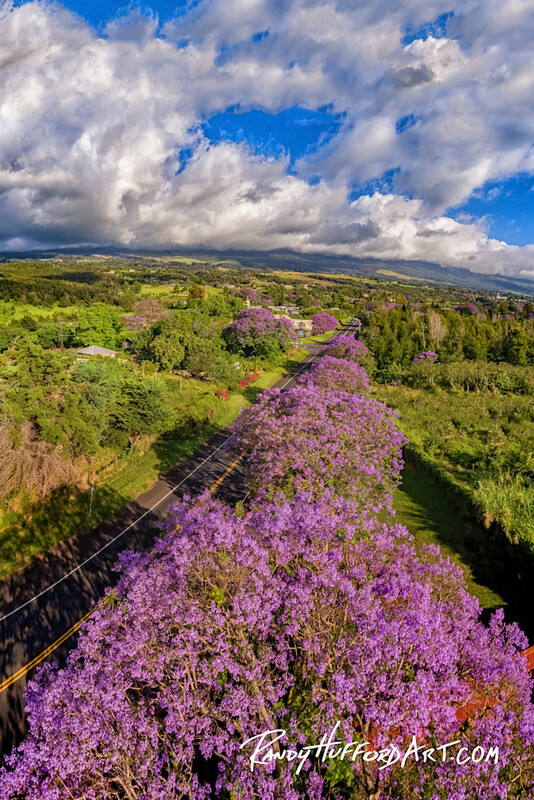 The Jacaranda tree, originating from South America, thrives in tropical climates. When the first beautiful purple blossoms arrive, I know that spring is on its way. Spring is a time of hope, love and new beginnings. Two rows of trees, lining the highway, blossoming from deep within their hearts. Even the clouds reflect this time of renewal by creating hearts and angels. One of the most beautiful places on earth.